Sorry for the looooong delay in posting! Now that we have finished the first month of school, I am making an attempt to get into a regular blogging schedule (although right now I am pretty zapped of energy by the time the final bell rings). My goal is to post here once a week and add one new item a week (this week I added three!!!) to my TPT store. In an effort to further integrate the theme of identity building, I added this quote to the front of our health and P.E. workbooks! This year I’ve hit the ground running! After a summer full of building curriculum, creating games, and organizing my classroom, it is so exciting to finally put my ideas into action. One of my biggest projects for this year, in collaboration with the school counselor and the music teacher, was to establish a school-wide theme and to create programming and curriculum to support this theme. Together we decided that our theme for the school year would focus on intentional identity building. We settled on this slogan, “Building an Identity to be Proud of!” Our goal for this initiative is to empower our students to be actively aware of who they are and to be intentional about becoming who they want to be. This bulletin board is directly in front of the principal’s office and seen by all! 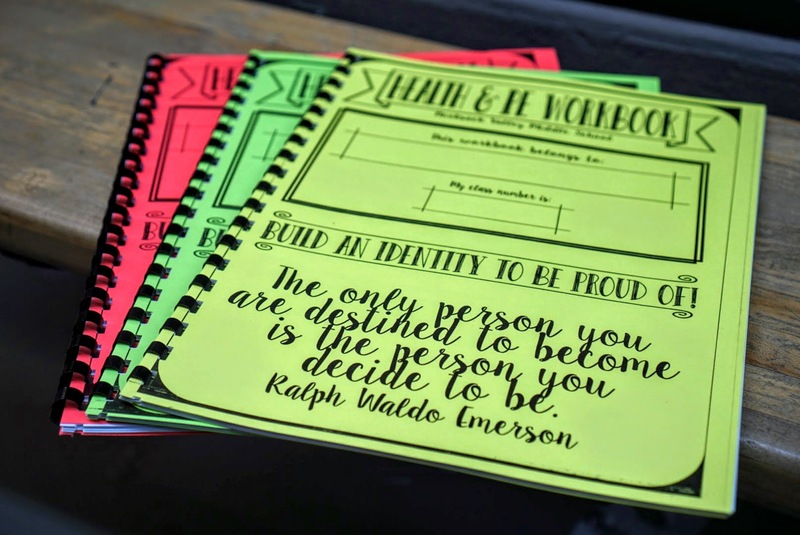 It is a place were kudo cards (another freebie) and the students of the month are showcased! 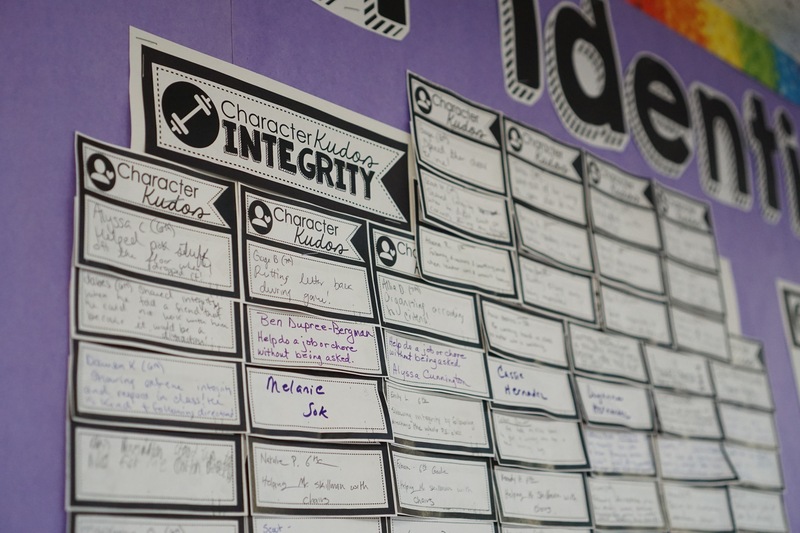 Students, staff, and visitors are often caught in the halls reading the identity posters & worksheets! The timeline for Step 1 is 4-5 45 minute class periods. Step 2 will run throughout the entire school year. If you would like to get regular updates about Step 2 please subscribe to Project School Wellness’ mailing list to get all new resources in your mailbox! Also, if you have other greatidentity-buildingg activities please share in the comments below!! 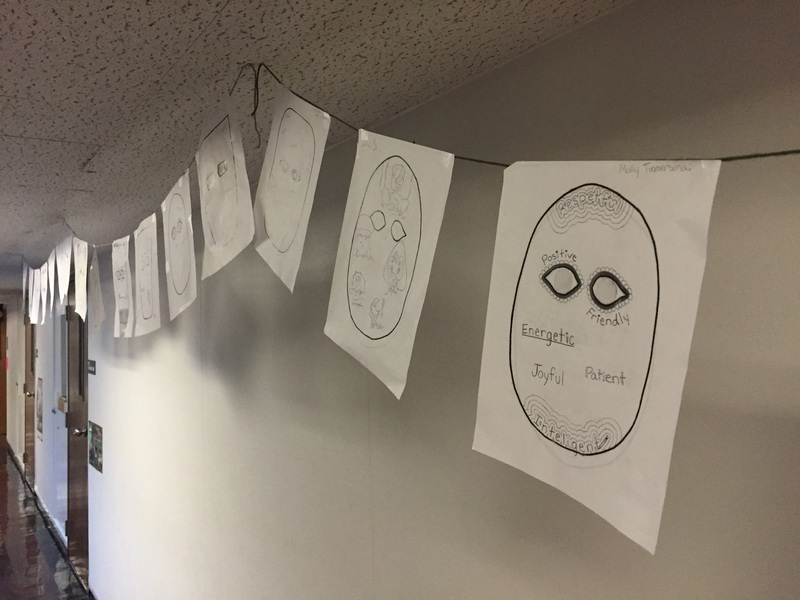 Here’s one last shot of a few of our 350 students’ identity masks!